As a new semester on the Hilltop starts, Ande Diaz, Ph.D. begins her role as the first ever Chief Diversity Officer (CDO) at Saint Anselm College. Dr. Diaz is excited to offer strategy, coordination, communication and monitoring in order to help the college advance its inclusion goals. As CDO, Dr. Diaz will work with all members of the college to increase the growing diversity and inclusivity in the Saint A’s community. While the role of the CDO on campus is new, Dr. Diaz is prepared to keep her eyes on the big picture in order to assess what her exact focus should be at Saint A’s. Recently, she has been listening in on meetings with academic departments, residence halls and admissions colleagues in order to determine where she can be the most useful. In her past experiences, she has found that each school has a different area of need that should be addressed. In addition to being a campus-wide resource, Dr. Diaz also uses the terms “bridge-builder”, “educator”, and “cultural mediator” to describe the nature of her work. Dr. Diaz has significant experience in examining civic engagement, diversity and inclusion. She has worked directly with students, as well as on research studies. She spent 7 years at Princeton University as an Assistant Dean for Multicultural Affairs. In this role, she was able to train the Residence Life staff, and served as an Interim Director in the Center of Community Service. After her time in Princeton, she moved to Boston to complete her Doctorate degree. During this time period, she also served as a Research Associate for Tufts University. She assisted in a 6 year longitudinal study on student activities and attitudes. The study focused specifically on the civic engagement of both current and graduated students. Next, Dr. Diaz directed the intercultural center at Roger Williams University. She particularly enjoyed this job, since she had the opportunity to work in multicultural affairs, international student advising, LGBT student affairs, and spiritual and religious life. Her work at Roger Williams helped her learn about a broad spectrum of diversity inclusion work, which she will incorporate at Saint A’s. Dr. Diaz then moved on to Allegheny College in Pennsylvania, where she got to work with the institution as a whole as the Chief Diversity Officer. While she loved her job in Pennsylvania, all of her family lives in the East, so she was excited about applying to the position at Saint Anselm. “There are a couple of things that are really special in terms of my work and Saint Anselm College,” said Diaz. She is particularly impressed with the NHIOP, a place where engaged students may learn to express their political opinions in a public, nonpartisan setting. Diaz is interested in having inclusion and diversity as a resource in the NHIOP. Additionally, Dr. Diaz enjoys the strong community service ethic shown on the campus. Students, faculty and staff are engaged in varying forms of service, particularly with the help of the Meelia Center. Research studies have shown that students learn better in diverse environments. “Diversity and inclusion helps deepen the learning for everyone inside and outside of the classroom,” Dr. Diaz stated. 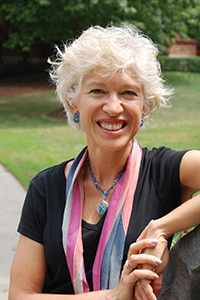 When asked why she believes her work to be important, Dr. Diaz addressed the career preparation aspect of her job, stating “We are graduating citizens of the world…It is essential that we prepare them to be able to go out in the world and engage with the people they’re serving.” Additionally, increasing the diversity across our campus will cultivate social justice and equity. To her, it is essential to ensure that students who may not normally have the chance to receive a college education are provided that opportunity. Further, Diaz explains that over 125 years ago, Saint Anselm College was founded with the idea to educate first generation immigrants. These people were ethnically diverse, hailing from Ireland, Germany and France. Many of the students struggled economically, working in the mills of New England to provide for themselves. The core concept of inclusion that the college was founded on is still prevalent in our mission today. Diaz is passionate about continuing the work that our founders began in 1889. This year’s freshman, the class of 2021, is the most diverse class that Saint A’s has seen so far. Dr. Diaz regards this as tremendous progress, and hopes we can continue this trend in the future. She commends the efforts of faculty, staff, and students who join together to help bring diverse students from all backgrounds to the college. In order to continue the effort to increase diversity of incoming students, the school has invested in an International Admissions Officer who will reach out to and recruit students from other countries. Diaz adds that “first and foremost Saint A’s has a Catholic institutional identity,” and that we respect all individuals’ dignities. She hopes to include the ideals of the college in her mission going forward. The Benedictine values of love, hospitality and community are paramount in her work of diversity and inclusion.